the best examples you will find anywhere in the world. them out I will take some pics of them. hang tags, price tags, warranty cards and receipt. 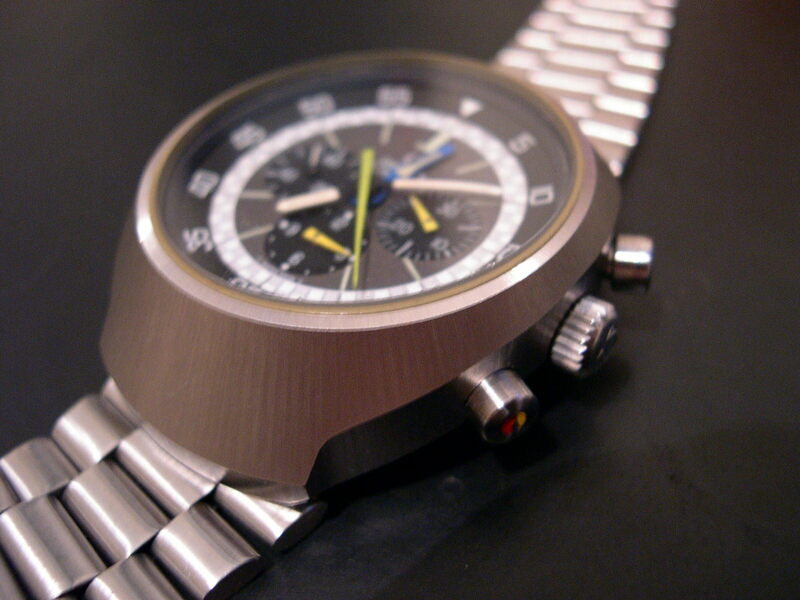 original bracelet and the dial was original. This watch always gets noticed when I wear it. clcoks and these sometimes crop up on Ebay. 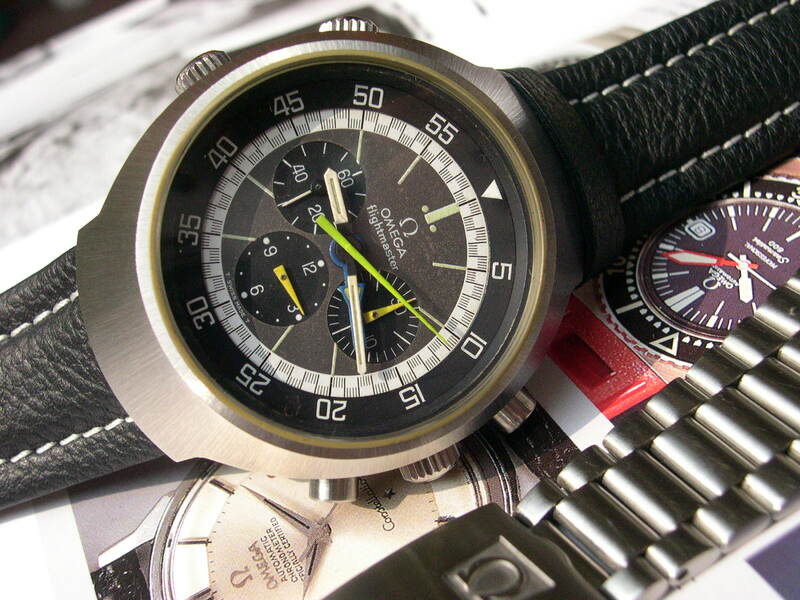 The bracelet on this watch is more rare than the watch itself - I have several! the top of the fork has two coils. This watch is NOS. because of the shape. This is very much the late 60's early 70's styling and really like these. This watch is NOS - still has the purple wax on the back of the case. Fork watches. The movements however are stamped on the back "made under licence from Bulova". 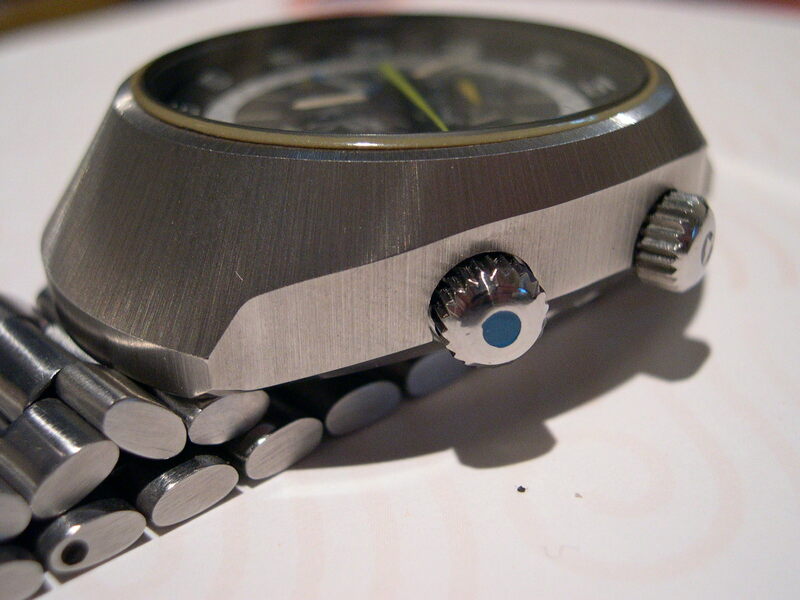 styling with the integrated bracelet. not the aluminium on all others. enormous and the bracelet is solid steel. 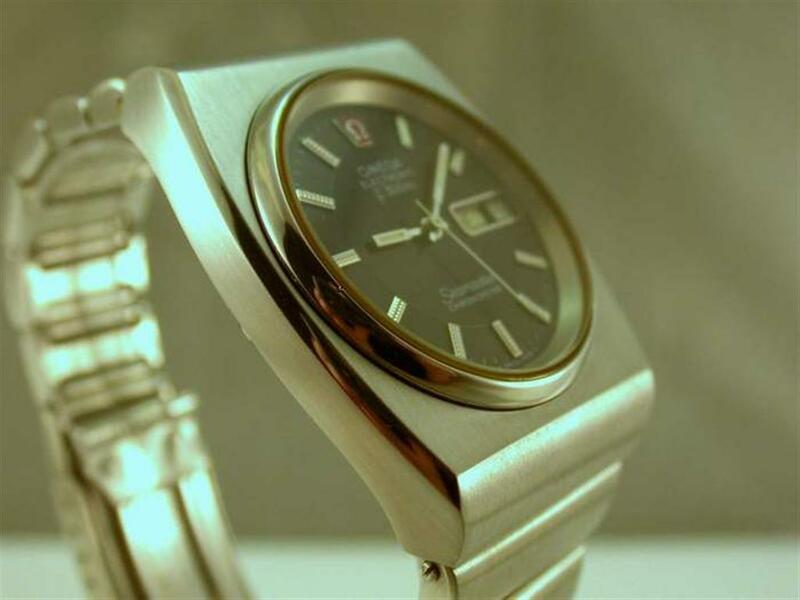 One of the first Omega "quartz" movements. very rare. It weights a tonne.